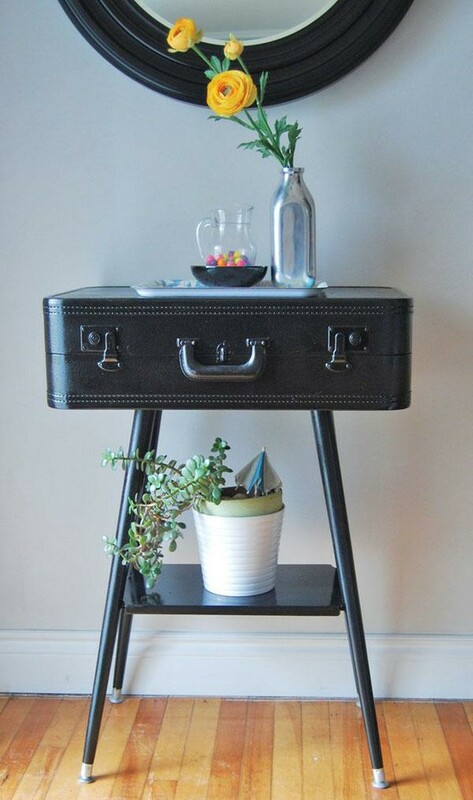 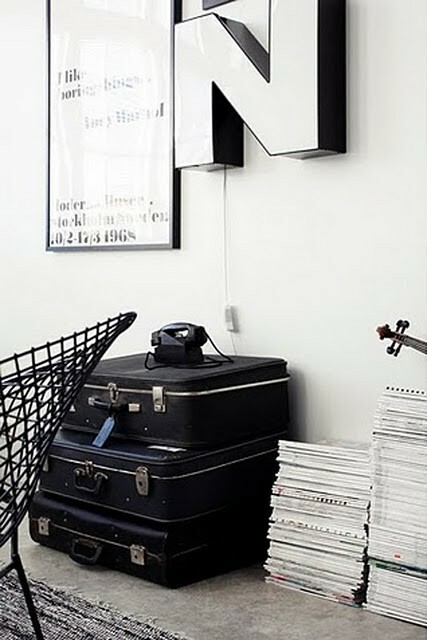 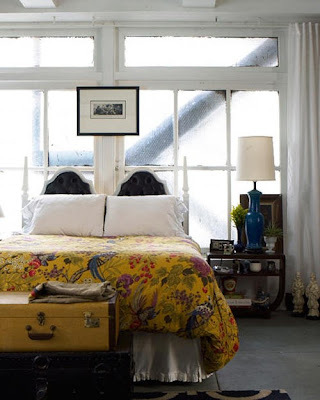 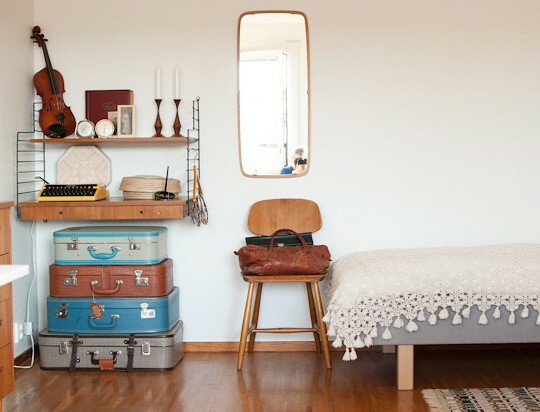 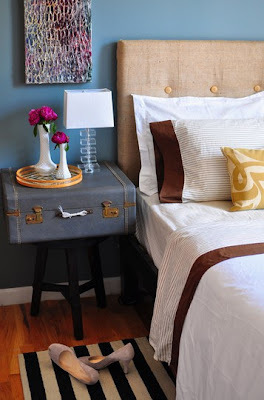 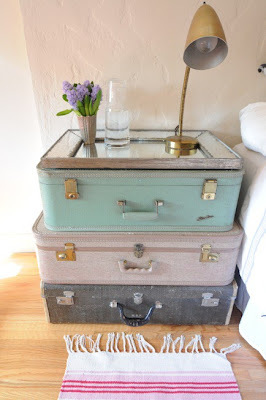 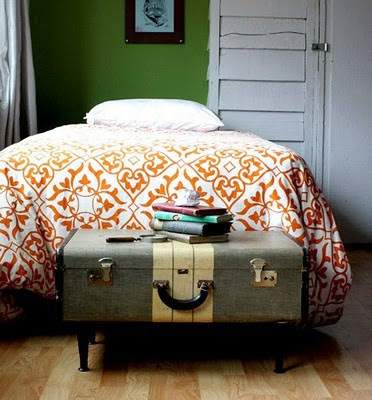 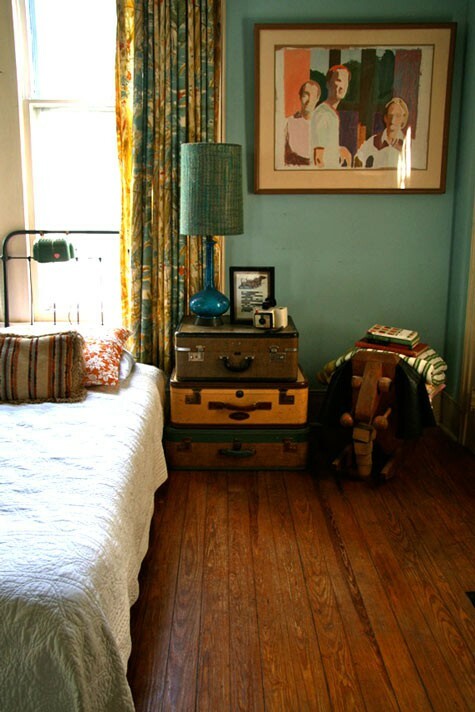 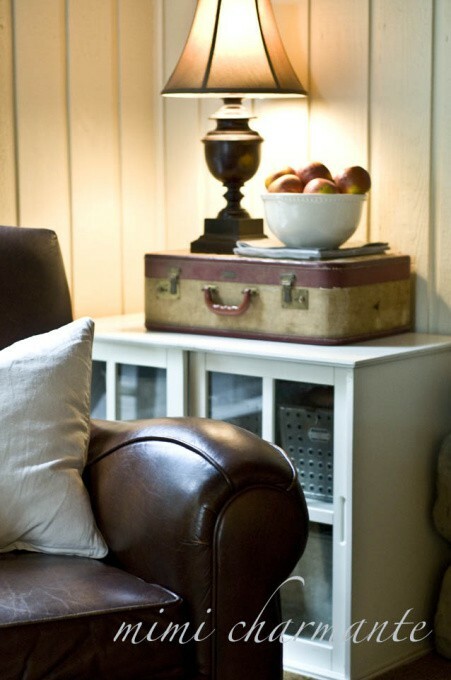 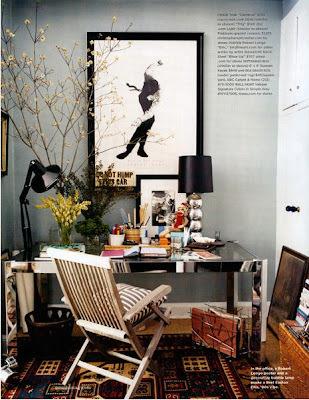 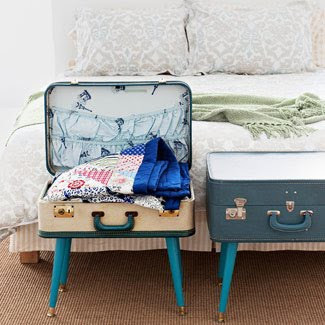 What's an easy way to add both functionality and fun to a space...suitcases. While a stacked set of Louis Vuitton's is my dream, vintage suitcases are gorgeous too. that is such a fun idea! 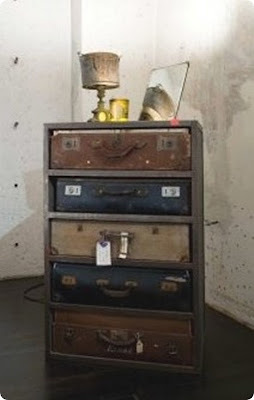 i was at this thrift store recently and they had awesome suitcases, but they were SO expensive! I love vintage suitcases. I have a bunch of them at home. There's a tutorial on my blog about how to restore them if you're interested.